There is a little girl I babysit; let’s call her C. C is four years old. This past spring (I guess she was still three then) I walked her to daycare three mornings per week, and picked her up for the walk back in the afternoons. This 15 minute walk twice per day gave us ample opportunities to discover her neighbourhood, and I would chatter along about whatever interested me – the tree that was sprouting new buds, the first flowers that were opening, and the return of the birds. I didn’t explicitly teach her very much, but somehow or other she gradually picked up the names of the birds. 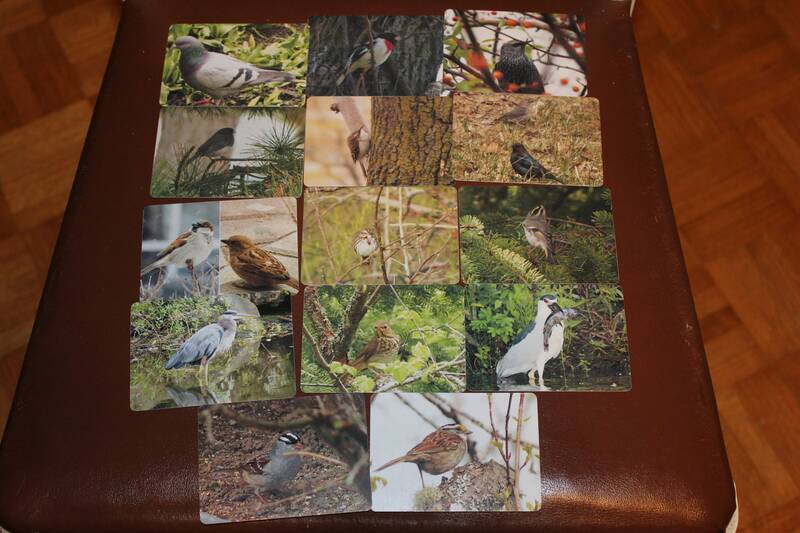 Before long, she could reliably identify Robins, Sparrows, Pigeons, Starlings, Mourning doves, Cardinals, among others. Eventually she could even tell the difference between “boy and girl” sparrows, and know when a cardinal was near just by its song. Her parents were impressed (how often do you hear a three year old casually say, “Look Mama, it’s a Starling”?). I was surprised at first too, but I realized that kids exhibit such discrimination skills from a very early age – I’ll bet most two year olds can tell you the name of every “Dora” character or describe the exact details of every Disney princess. Why should birds be any different? Even very young children are quite capable of learning an astonishing array of things, if only we present them with the opportunity, and are ourselves excited by it (C may not have learned the birds’ names so readily if she had not been exposed to my obvious and genuine interest in them as well). Even her 18-month old sister started pointing out the window and exclaiming “dobin!” excitedly whenever the red-breast would appear. 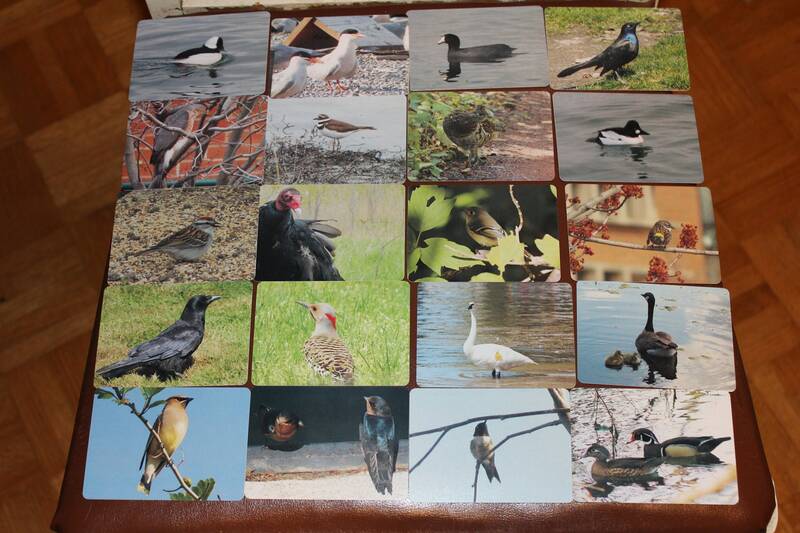 Partially inspired by C’s interest, I have created a deck of "bird flash cards". 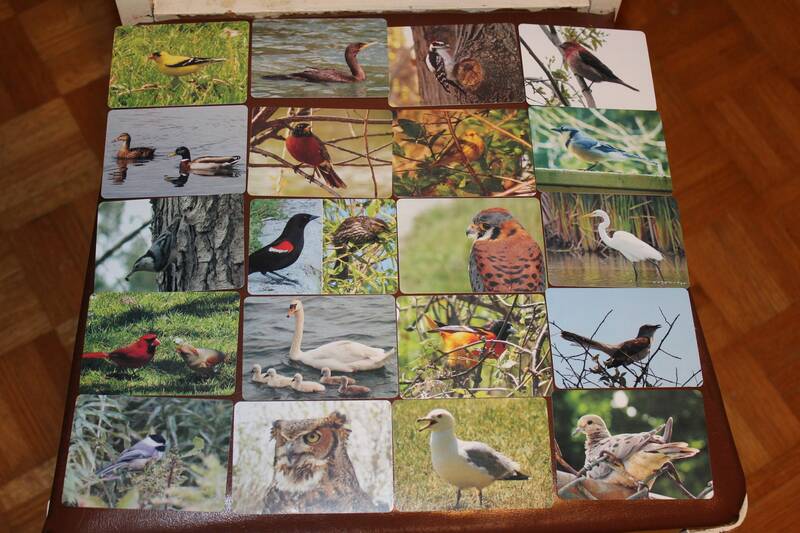 They have a photo of a common bird on the front (all taken by me) and the bird’s name on the back. They've been a hit with everyone I've shown them to so far.